Stating that the importance of unmanned and autonomous systems has increased in the recent period, Prof. Demir stated that the people who have ideas in this area need to create channels for these ideas. Asserting that they would be providing all support for maturing and actualizing the idea, Prof. İsmail Demir expressed that the wheel will be spun by the sector representatives, researchers and rising generation. 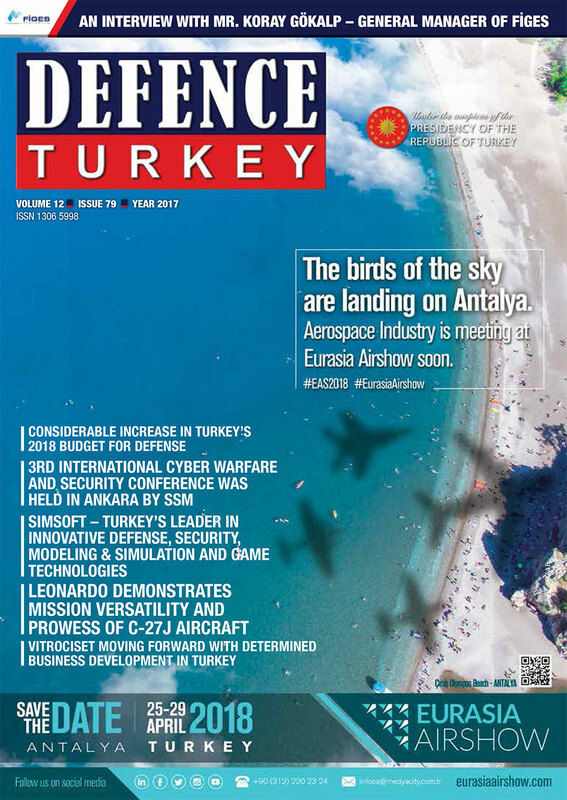 In his speech, Undersecretary for Defense Industries Prof. İsmail Demir heralded a more dynamic competition season for the Roboik which will be announced in the first month of 2018 as well. The Unmanned and Autonomous Land Vehicles Design Competition held for the first time this year under the name “Roboik” by the Undersecretariat for Defense Industries was launched for designing the unmanned systems that would enhance the operational capabilities both in internal security and in military areas through the utilization of advanced technologies, reducing the margin of error, preventing probable personnel casualties or reducing them to the minimum level, and for providing added value to the industry by enabling broad participation. Roboik Unmanned and Autonomous Land Vehicles Design Competition’s planning activities were launched in January 2017. Within this context, the competition was announced on 12 June 2017 and the project applications were submitted until 19 October 2017 by SSM. Following the application process that ended on 19 October 2017, 310 projects were brought into the evaluation of the jury. At the evaluation camp held on 23-25 November, a software based assessment was conducted by the jury. During this three-day evaluation stage in which the owners of the projects were not known by the jury, 20 projects were shortlisted. On 14 December 2017, the Roboik Award Ceremony was held after the Unmanned and Smart Systems Workshop for highest ranking projects among the 20 shortlisted projects. 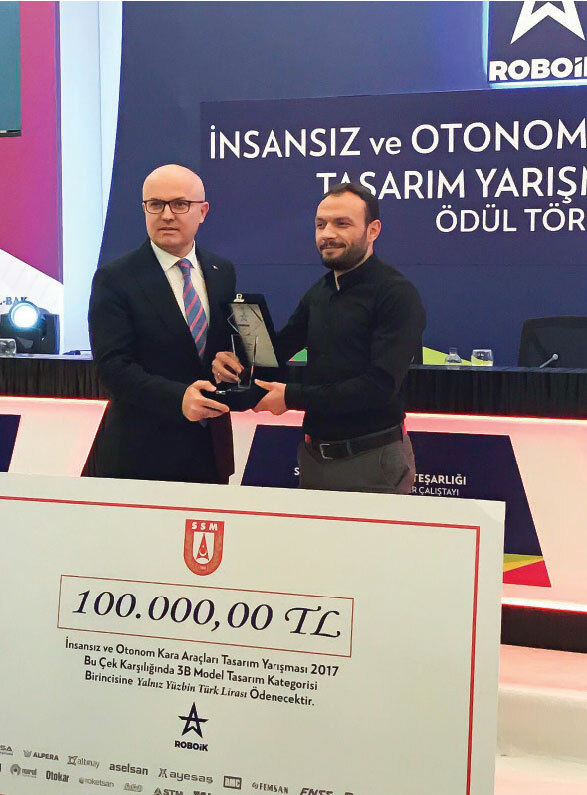 Mr. Uğraş Akpınar won the 100,000TL (est $26K) prize as the winner of the Roboik competition with his “Efe Modular Autonomous Vehicle Project” and received his award from Deputy Undersecretary for Defense Industries Dr. Celal Sami Tüfekçi. Mr. Çağrı Demirbaş won the second prize of the competition with his project “Dost Autonomous Robot Project” and Mr. Hakan Cavit Yıldız won the third prize with his project titled “Otosar Halka-Il Project”. Honorable mentions as part of the competition were received by Mr. Levent Tuna and Mr. Cengiz Akarsu with the “Mergen Project”, by Mr. Volkan Gökalp with “Atılgan-1 Project”, by Mr. Tolga Yaşar Yılmaz with “Gergedan Project” as well as Mr. Utku Yücelmiş and Mr. Nurullah Taşkın with the “YUNT-6x6 Tactical Wheeled Unmanned Land Vehicle Project”. Mr. Barış Bumin, Mr. Abdulkadir Uruç and Mr. Sayit Alişan received the jury’s encouragement awards with their “Baykuş” project. Jury Head Prof. Metin Yerebakan handed these awards. Following the Unmanned and Autonomous Land Platforms competition, a competition in two different categories is planned to be organized within 2018. The individual participants from universities entering this competition are intended to be run by giving them performance based tasks focusing on algorithm and thus development of prototypes for companies are planned. 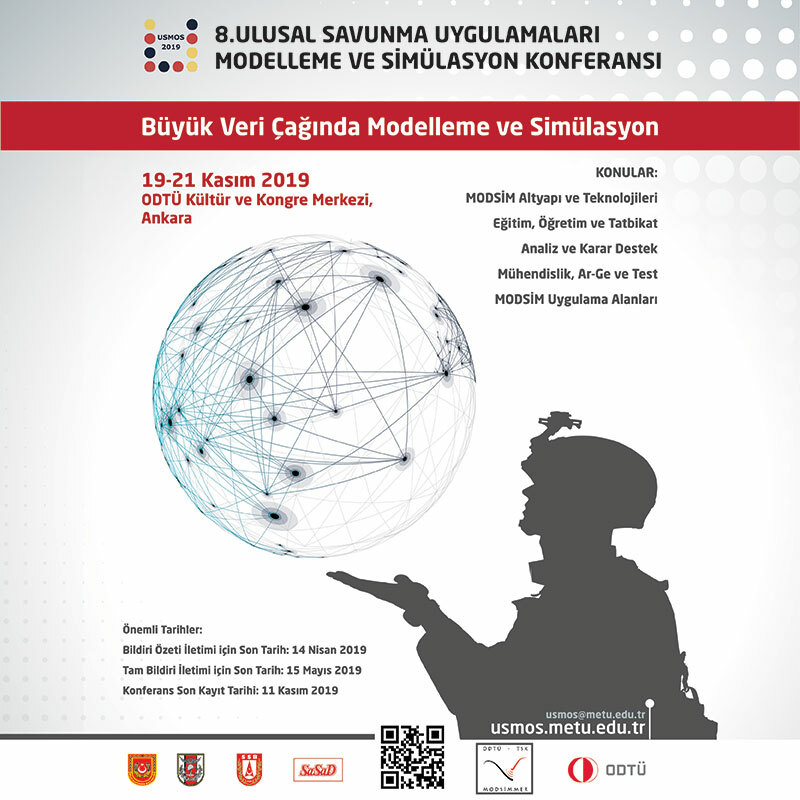 In this format, the projects passing the pre-screening will move onto the next stage and the prototypes of the selected projects will be manufactured with the financial support provided by the Undersecretariat for Defense Industries. On the other hand, in addition to the Unmanned Land Platforms, the other formats related again with Unmanned Marine, submarine and surface vehicles are aimed to be launched in the upcoming period by the Undersecretariat for Defense Industries.